60,000 Americans died in the Vietnam war. Thousands more died in the following years. A new documentary by filmmaker Ken Burns examines the era. 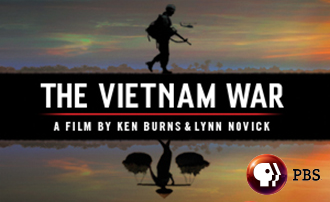 In the first of a series of discussions on the war, we’ll hear from Alaska Vietnam veterans about how they’re doing today, decades after their service and what we’ve learned as a nation. Ric Davidge – Chair of Alaska Veterans Foundation and secretary of Alaska Vietnam veterans state council. LIVE Broadcast: Tuesday, September 12, 2017 at 10:00 a.m. on APRN stations statewide. Both shows’ doors open at 5:30 p.m. Screening begins at 6:00. Discussion at 7:00.